DJ Sbu Credits Felicia Mabuza-Suttle As His Inspiration. They say we should celebrate our icons while they are still alive. This is exactly what DJ Sbu is doing with Felicia Mabuza-Suttle. “You are the reason so many of my generation got into television,” the media personality said. Same here Prof Phakeng. She gave me confidence that I could do this and excel. And she did it with class nogal. To this day she remains Africa's best dressed classy icon in my eyes. Siyakuthanda Mama. We need to tell you more often how much we appreciate you. 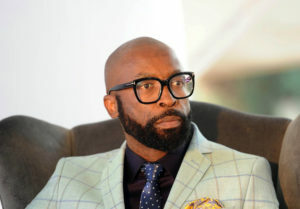 The post DJ Sbu Credits Felicia Mabuza-Suttle As His Inspiration appeared first on Youth Village.